What kind of work do people carry out in the offices and in the classrooms of a world wide active cultural institute? What are their daily activities when they belong to departments such as Educational Services, Culture, Information and Service? 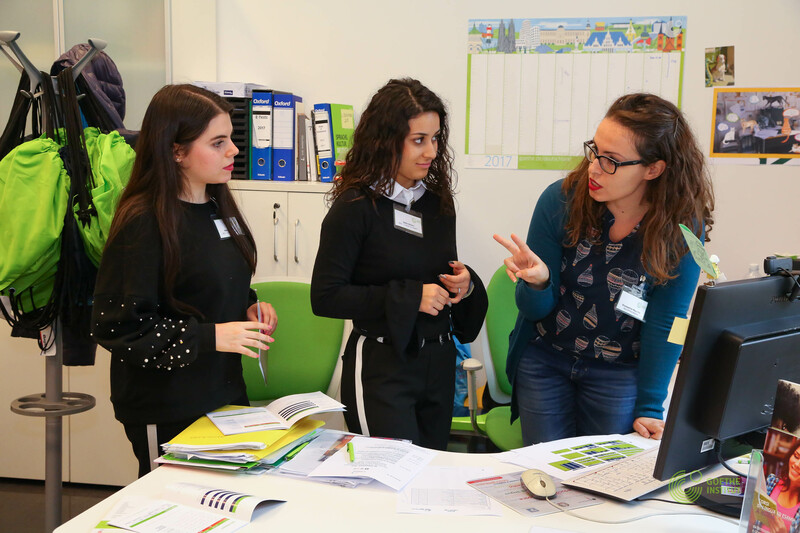 The Goethe-Institut Rom in Italy, together with StartNet Italy, opens its doors to students of a secondary school class. Young people will accompany the staff in their work routine and carry out tasks together, a great opportunity to have a glimpse at different jobs! Alternanza is the Italian term for compulsory work-related learning experiences offered outside of school, one of StartNet's fields of work in career guidance. For more information have a look at the brochure on Alternanza Day, made by the Goethe-Institut Rom, institutions and entreprises (Italian language).